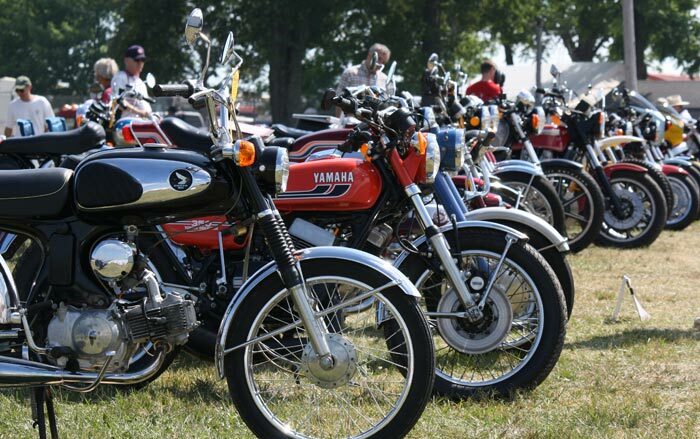 Thousands of motorcyclists and vintage motorcycles fill acres and acres of land at this annual gathering; it’s like being in a moto time warp. 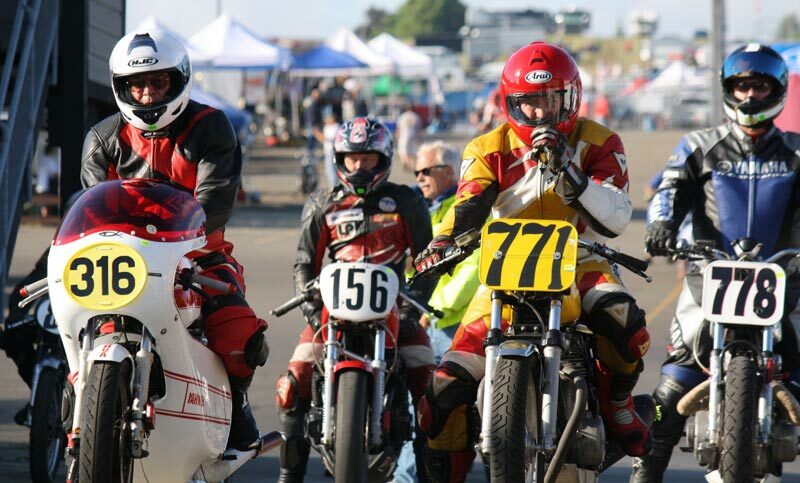 You’ll see bikes riding by, or being raced, that you’d never see outside the three jam-packed days of fun at AMA Vintage Motorcycle Days. We were lucky enough to partner up with the good folks at American Motorcyclist Association to create this video. After almost a decade of attending this event, we know our way around the grounds of Mid-Ohio Sports Car Course, and we’ve learned how to pace ourselves during the long weekend. So much to see and so much ground to cover. So, in our condensed 6-minute summary video, the surface of the overall awesomeness has only been scratched. 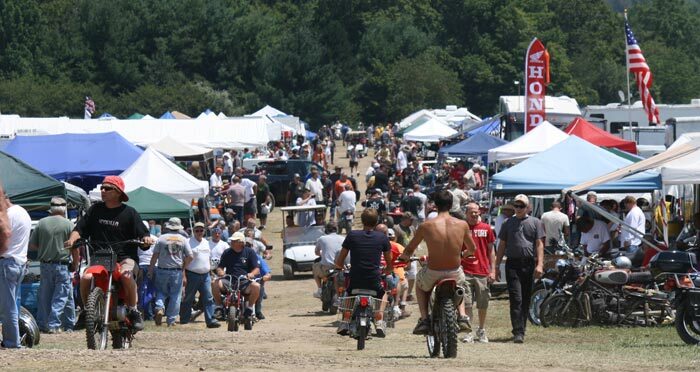 It’s tough, too, to convey the massiveness of the continent’s biggest motorcycle swap meet. Our sped-up footage showing rows and rows of booths didn’t even cover a fraction of it! 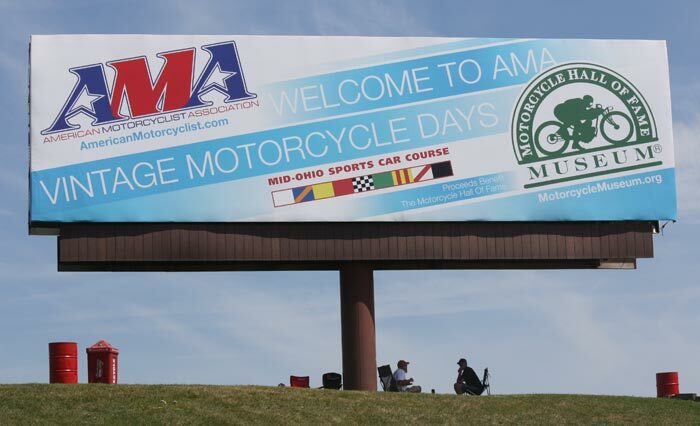 AMA Vintage Motorcycle Days is a fundraiser for the Motorcycle Hall of Fame, who helped put on some killer bike shows during the event. 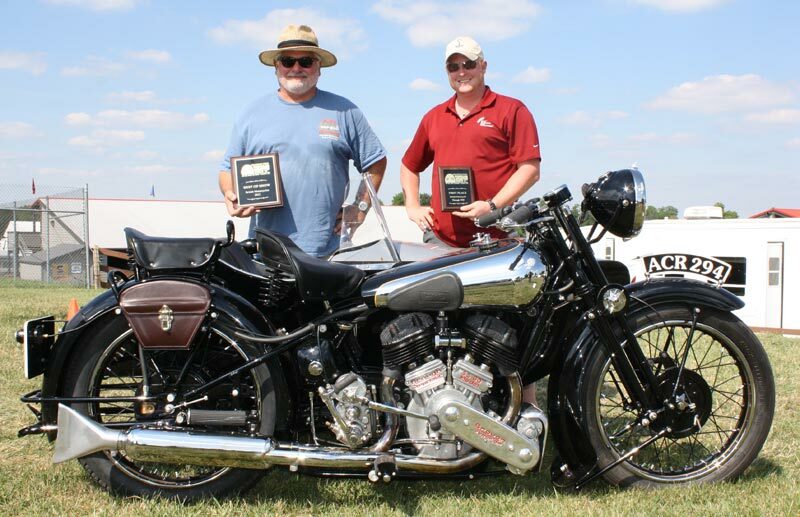 To give you an idea of the caliber of bikes, the Best In Show award went to an immaculate Brough Superior sidecar (below). This year’s event featured a Rockers and Mods theme. Scooters and cafe racers met at the Cafe Racer Magazine tent, where some top notch rockabilly was blaring. The live music was provided by Pittsburgh’s own, Highway 13, who’s rockin’ music you’ll hear in the video. Alright, this may have helped whet your appetite for next year’s VMD, but we’ll post more in the weeks to come. So keep it tuned in to Good Spark Garage or follow us on twitter or Facebook to get notifications on when we post the goods. ” WOW ” great stuff, love the short condence video of the Ohio swap meet this year. You guys know how to pack a lot into a short presentation. Wish I could have been there, but after seeing the clip …sort of felt as if I had been. Thanks for the outstanding job, and I will be a avid follower of GOOD SPARK GARAGE in the future. As always great work guys. You really caught the essence of Mid-O. The AMA should back up the brinks truck to your front door for the great advertisement you just gave them!